Ingleton falls has built up over millions of years, but the decision to make it more accessible to the public was made in the 1880s. In April of 1885 the trail was first opened as a tourist attraction and has continued to attract thousands of people each year mostly from Manchester, Bradford and Leeds. In the 1880s it was so popular that on one day in June a record 3,840 people visited it. It is situated in the Yorkshire dales in north Yorkshire, England, in a quiet rural location, perfect for a peaceful day out for families or individuals. It consists of around 4 miles of waterfalls of different shapes and sizes. Pecca falls (above) is the first of the magnificent water features you come across, and the view from the bridge that crosses the River Twiss allows a brilliant angle to see the falls up close. This waterfall, indeed the whole walk, is an amateur photographer’s dream – and great for those who like playing with exposure on their cameras. Thornton Force is the most famous and spectacular of the waterfalls on the trail. Here the river plummets 14 metres over a cliff of limestone, laid down 330 million years ago in a sub-tropical sea. 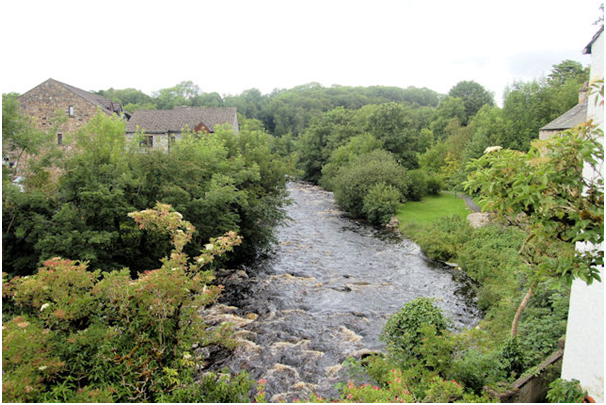 From here, the walk loops over the top of the Yorkshire dales and then heads back to Ingleton, this time passing River Doe (below). This ravine seems almost narrower, yet more dramatic – there are many great viewpoints to get some great pictures. The next of the features on the trail is the Beezley Falls (left below), Rival Falls at one end of Baxenghyll Gorge (middle) and Snow Falls (right) at the other before the scenery starts levelling out as the descending gradient eases you towards the conclusion of the trail. The end of the trail leads you through the picturesque Ingleton village before returning to the car park where the trail began. 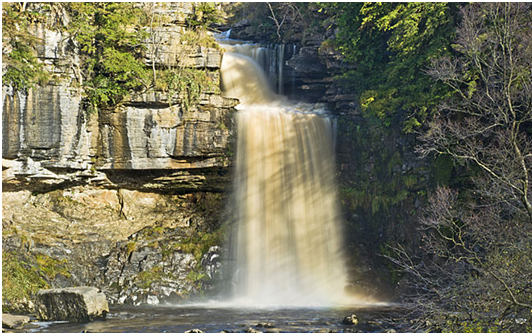 Featuring some of Yorkshire’s oldest rocks, Ingleton Falls is, in my opinion, one of the most beautiful natural geological structures in the UK, providing insights into millions of years of our planet’s history. Tags: 100geosites, geology, Ingleton Falls, water, Yorkshire. Bookmark the permalink. Previous post ← A New Epoch? 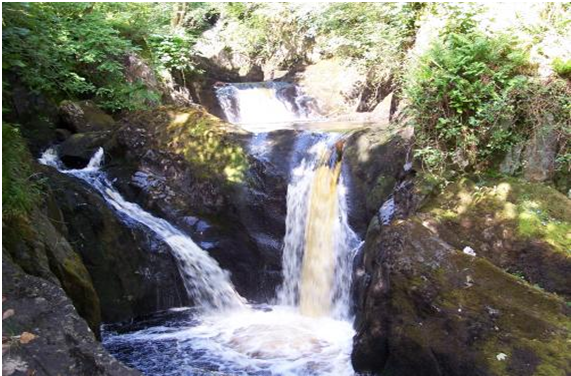 I visited Ingleton on a field trip in 2006 and it was there that I fell in love with Geology!